I’m often asked about my favorite (or most used) supplies for bible journaling. I use lots of different things, so it took some time to condense it into a reasonable lineup. Please don’t see this as a “must have” list. Bible journaling, like any form of art or worship, is a very personal thing. You be you. Try different things and figure out what works best for you. Be open to trying new products or techniques. And don’t feel like you can’t get started until you have a bunch of supplies. Start with what you have. Even if that’s just a pencil and paper! And ALWAYS feel free to ask me any questions you think of. I may not know the answer, but I’d love to help any way I can! So, my MOST OFTEN used bible journaling item is… (drumroll, please) my BIBLE! So maybe that doesn’t really count as “supplies” but I can’t tell you all about bible journaling and NOT talk about it. The one I have is an ESV Single Column Journaling Bible. This same version comes in a few different cover options, but I have the one with the leather cover that wraps around the bible. The husband got it for me last year for my birthday. I really love it. That said, there are so many options! Different translations/versions, covers, etc. Some are called “interleaved”. That just means that there’s a full blank page between every page of text – more room for journaling! There are even some with illustrations throughout (sort of like the grown-up coloring books – all you have to do is color it in!). The only difference between a regular bible and a journaling bible is that a journaling bible has a wider margin for your notes and/or creativity. Another thing to note is that people use ALL different things to journal in. IT DOESN’T HAVE TO BE IN A BIBLE. You can use a regular journal that you designate as your bible journal, and fill the pages with your creative worship! Or I’ve seen some people who use old hymnals or a bible that’s been sitting on the shelf unused. This is an act of worship through creativity. Use what you have and pour your heart into it. 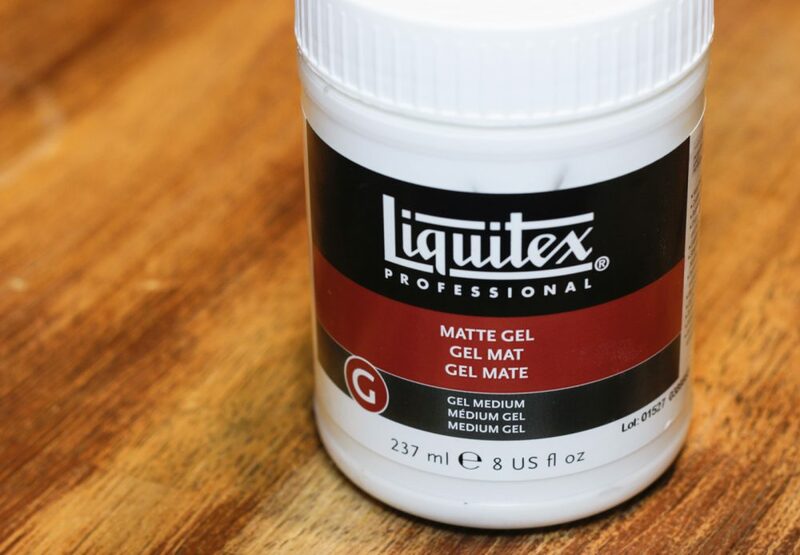 Clear Gesso or Matte Gel Medium – I use this on every page. Lay down a very thin layer to protect the page from bleed-through. This stuff is great, but it’s not armor. If you go a little crazy with your watercolors or markers, it might still bleed through to the other side. 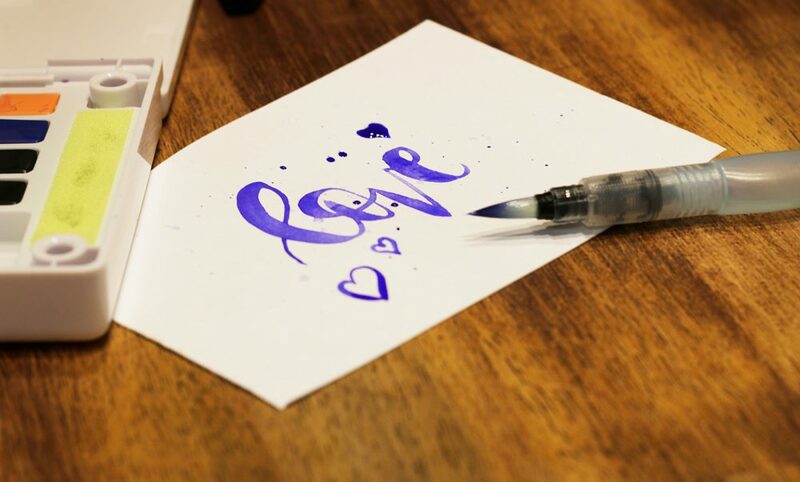 You can brush it on with a paintbrush, or use an old gift card to spread a thin layer onto your page. Pencil + Eraser – I sketch everything to work out placement before I put anything permanent on the page. Brushes – These don’t need to be fancy. If you want to do a lot of small details, pick up some small brushes, but if you are mainly doing big strokes of color, just a couple of medium brushes will work. Colored Pencils – The brand I have is Prismacolor. I’ve had these forever – since back in design school days. Again, you don’t need to spend a ton of money on them. Just use what you’ve got or start with a small set and expand your colors later on. 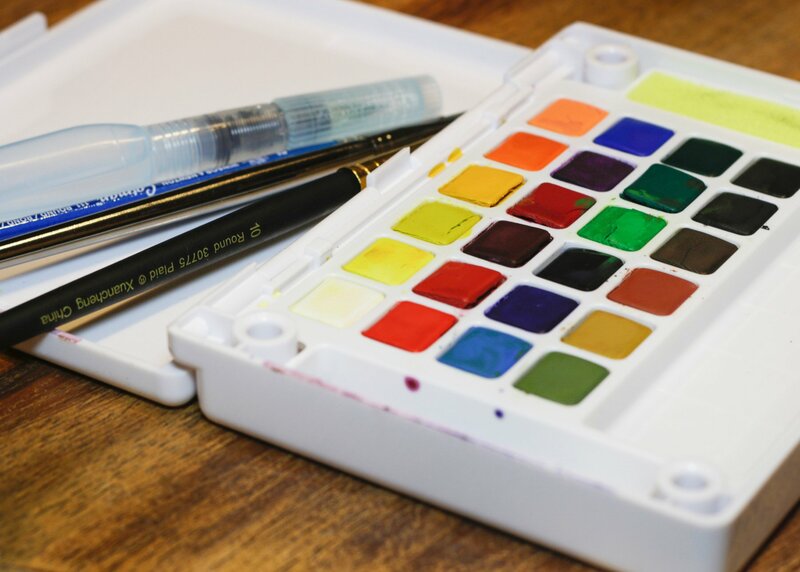 Watercolors – Any brand will do. I’ve used the cheap-o kid sets and had great results. 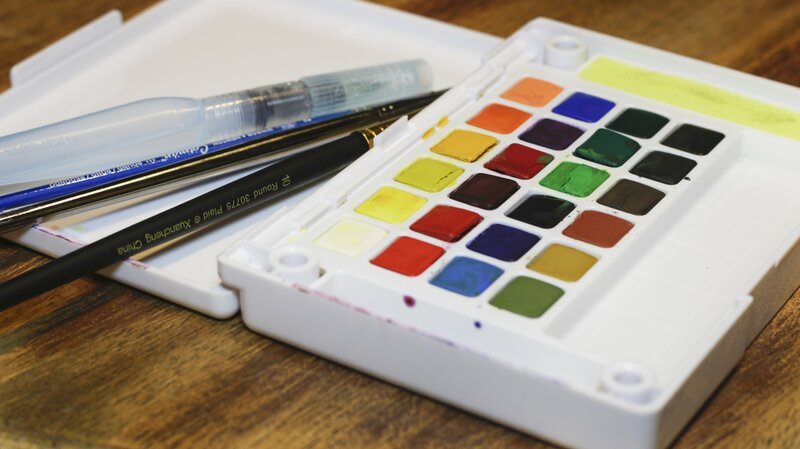 Watercolor Pencils – For some reason a lot of people feel like these are less intimidating than regular watercolors. I love mine! I think they’re a great addition to your supply cabinet. No-Bleed Pens – I love my Micron and Faber Castell PITT Artist Pens. They’re waterproof, so I can draw or write then paint over top without worrying about smearing! These are also waterproof. Love that! Brush Pens – These are just so fun! They can be filled with liquid watercolors or inks and used for lettering or painting. Or just fill with water and use it to paint with watercolors, blend watercolor pencils, water soluble crayons, etc. The brand I recommend is Pentel Aquash. Like I said, this is by no means a must-have list. These are just some of the basics I like to use in my journaling. I recommend getting comfortable with what you have, then choose one new thing to experiment with. Most importantly, be you! Everyone has a different style requiring different materials and supplies. Some ideas for fun extras are: washi tape, stamps, stickers, ribbon, metallic paints, papercrafting goodies, acrylic paints, oragami papers, gel pens, gelatos, crayons… seriously, the options are endless. Have fun!